It is more appropriate to think of a missing tooth as a space where a tooth used to be. Above and beyond aesthetics that tooth's purpose included acting as a chewing surface, holding its place with regards to adjacent teeth, maintain the bone structure where it was rooted along with many other structural and preventative roles. Without that tooth in place surrounding teeth can shift causing gaps and making decay more likely, bone loss and damage can occur, the area can become more apt to periodontal disease and the list goes on. 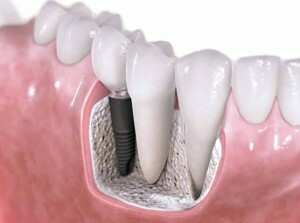 There are many different types of dental implants available. Dr. Olvera at Keele and Finch Dental in Downsview will be pleased to discuss the benefits of implant prosthetics with you and see if it's right for you.